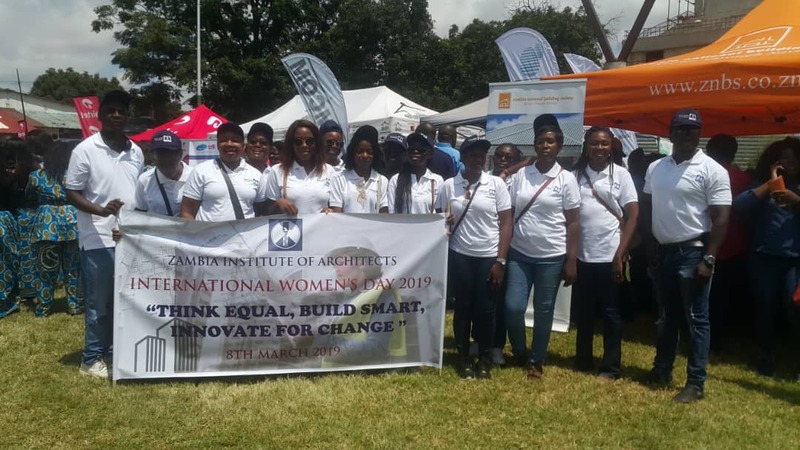 The Zambia Institute of Architects this year participated in the Women’s Day match under the theme “Think Equal, Build Smart, Innovate for Change”. The institute was represented by Female Architects and supported by a couple of male colleagues. The group consisted of both the younger and senior members. The match started from Zesco Headquarters ending at the Lusaka Show Grounds with a match past in front of the Head of State. Later in the evening Female Architects were celebrated and honoured by the Graduate Women Zambia for their active role in the Construction Industry at a glamourous fund raising dinner at the Mulungushi Conference Centre. 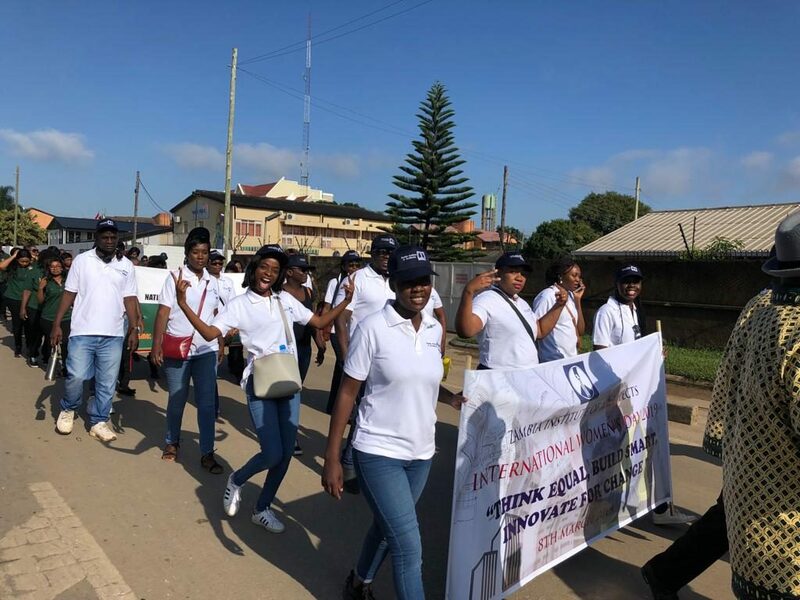 And in line with the ZIA Mentorship Programme, two groups of the Female Architects conducted career talks to pupils at Northmead Secondary School and Munali Boys Secondary School on Thursday 7th March 2019. The career talks included topics like 1). What is Architecture 2). Entry Requirements to Study Architecture and 3). Career Prospects for Architects. The Extraordinary General Meeting of the Zambia Institute of Architects will be held on Friday, 5th April 2019 at the New Government Complex, in Lusaka where a new ZIA President will be elected. The EGM will be preceded by a one-day CPD Event on the 4th April, 2019. The CPD Event will be used to gather input for the ZIA Strategic Plan as well as the SADC Trade Negotiations Forum. Also expected are presentations from the Lusaka City Council on the newly launched Automation of the Construction Permitting System and another from ZRA on Taxation of Consulting Services. The full programme for the two days will be shared in due course. 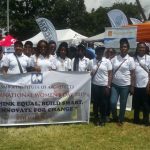 The Zambia Institute of Architect (ZIA) was invited to the official launch of the Automation of the Construction Permitting System by the Lusaka City Council (LCC) on Friday 4th January 2019. The launch was graced by Honorable Vincent Mwale, the Minister of Local Government and ZIA was represented by Architects Kelly Kalumba (President), Griven Sikalumbi (VP), Dennis H. Nyekele, Imasiku Kamayoyo and Vunda Kachele (Council Members). According to the brochure distributed by LCC at the ceremony, the Automation of Construction Permit is the shift from handling and processing applications for development manually to the use of online interaction and computerised system. The system is a two way interface between the applicants and the various Council Officers responsible for working on the applications. The applicant will be able to submit and track online the progress of the application up to the approval stage. Applicants are expected to create an online account through which enquiries, submissions, payments and tracking of the application will be made. To obtain more information about the system visit the Lusaka City Council website at www.lcc.gov.zm and possibly register as a user. The general public is informed that it is a crime to provide Architectural Services in Zambia in a manner contrary to the provisions of the Zambia Institute of Architects Act No 36 of 1995 (Cap 442) and Statutory Instrument No 106 of 1999 of the Laws of Zambia. With reference to the aforementioned act only Architects and Architectural Firms registered with the Zambia Institute of Architects are allowed to offer and provide Architectural Services to the general public. Consequently the public is advised to relate only with members of the Zambia Institute of Architects for such services. Those found to be in breach of the above mentioned laws will be prosecuted. For more information the public is advised to contact the Zambia Institute of Architects’ Secretariat on telephone no 0211 254512, cell 0966 650728 or email secretariat@zia.org.zm. A Practicing Architect (or Firm) is a Registered Architect offering their Architectural Service to the public. In order to practice, a Practicing Certificate or Licence is issued to a Registered Architect by ZIA after complying with the relevant and necessary requirements. The Act also provides a Code of Professional Ethics and Conduct that prescribes how Registered Architects and Firms are expected to conduct themselves when practicing and generally offering their service to the public. For instance, like Lawyers and Medical Practitioners, Architects are not permitted to directly advertise their services to the public but generally rely on their ability and achievement to market themselves. ZIA has published a Zambian Hand Book of Practice for Architects (Volume 1) which provides Architects a systematic and appropriate method of executing their services to Clients from inception through to completion. In the hand book the services of a Practicing Architect are structured into two sections namely Job Running and Contract Administration. Job Running explains the documentation and procedures that are involved from inception or commission of a project with the Client right through to Project hand over and review at completion. The Contract Administration section provides practical guidance on the administering of the building contract which is the agreement between the Client and a Contractor giving rise to obligations to each other enforceable at law. For private projects the hand book recommends the use of the JLC Standard Form of Building Contract while for government projects the GC Works Form of Contract is used. A Practicing Architect has the direct and individual responsibility to faithfully and diligently carry out his or her duties undertaken in accordance with the terms of engagement with their Client. Architects also have a third party duty of care to persons expected to use or enjoy buildings and facilities designed by them. For example an Architect has a duty of care to provide an access ramp for use by the disabled on wheel chairs even on privately owned buildings. It is for this reason that Architects like Lawyers and Medical Practitioners are expected to practice under the Sole Proprietary or Partnership Type of Business and not as Limited Liability Companies. With the general appreciation of who an Architect is and what it takes to practice Architecture in Zambia follow up articles will explore the tools and standard documents that are available for an Architect to practice their profession and effectively serve their Clients and the public in general. Over the last few years, New York City architect Danny Collins and his colleague, Javier Roig, have spent their vacations building homes in under-developed regions around the world, volunteering in Cambodia, Zambia, and Nepal. Often, they personally financed the projects, which were typically building single-family homes in needy communities. That’s how they got the idea to launch Project Latitude, a non-profit that creates products inspired and made by people in struggling areas. All proceeds from the sale of the products go back to the communities, where the money is used to meet the area’s construction needs. “It’s our response to how volunteer trips are funded,” Collins tells Yahoo Finance. While traveling in Ecuador, Collins and Roig were so taken with the area’s culture and natural beauty, that they made helping the South American country their inaugural project. Inspired by the rich colors and textiles of the Andean Highlands, they designed a backpack that they say reflects the lifestyle of the community. The backpacks are handmade locally, and all of the detailing is made from 100% recycled car tires. To fund the project, they set up a Kickstarter campaign. On April 17, 2016, one day before it was supposed to go live, a deadly earthquake hit Ecuador. Project Latitude quickly adapted its campaign to help with the relief effort. Rather than building single-family homes, Project Latitude plans to focus on public works and recreational spaces along the coast of Ecuador. “We want to travel there and see what it is they need,” Collins says. They hope to add more items to the Ecuador product line and eventually branch out to include volunteer projects throughout Latin America. Architecture is the art and science of designing buildings and the person who practices Architecture is called an Architect. Architects ensure that the buildings they design are functional, safe, and meet the needs of the people who will use them. Architects also assist their Clients in selecting suitable contractors for their building and during construction they inspect the works to ensure that the builders strictly follow the design and specified materials as well as meeting the acceptable work quality standards. In Zambia the practice of Architecture is regulated by the Zambia Institute of Architects under Cap 442 of the Laws of Zambia. The history of Architecture goes back thousands of years ago, when man created primitive shelters for protection from the environment. However with the environmental concerns becoming more and more important to many, most Architects now ensure that their buildings have as much reduced impact on the environment as possible, both at design and during the construction stages and when is use after completion. An Architect is engaged by a Client to design buildings who give the Architect an idea of what he wants. He then starts the designing process where some Architects use old fashioned pencils and tracing papers during this process, while most them now use some type of computer aided design (CAD) software. In Zambia the Copperbelt University (CBU) offers a five year Bachelors of Art Degree in Architecture. The O level subjects generally required to pursue the Architectural programme are English, Maths, Geography and some Sciences. Background in Technical Drawing may provide an advantage but is not necessarily a requirement. The degree programme includes courses in Architectural History and Theory, Building and Environmental Design, Structures, Building Technology and Construction Methods, Professional Practice, Analytical Maths and Surveying. Cardinal to the Architectural programme is the Design Studio, where students apply principles and theories learnt in the other courses to present design concepts, drawings and three-dimensional models of their projects. After completion a Graduate Architect undergoes internship training for at least two years under the supervision of a Registered Architect. This is necessary for one to be considered for registration by ZIA. The Graduate Architect is thereafter expected to sit for the Professional Competence Examination after which they are admitted to the Institute. Employment opportunities for Architects are available at Private Practicing Firms, Buildings Department, Ministry of Education, Ministry of Health, National Housing Authority, National Heritage and many Other Parastatal Organisations like ZNBS. One can also set up their own Firm or join existing practising architects to set up Partnerships. In Zambia, as well as in the rest of Africa, western materials and construction techniques are rapidly replacing traditional ones, even in remote areas of the country. Traditional materials and construction techniques have connotations of being substandard with a significant number opting to use imported materials and even foreign consultants. With the influx of Computer Aided Design (CAD) packages , globalisation and architect collaborations with international clientele, it is evident that in just a few generations traditional techniques will continue not to be passed on to future generations and this part of Zambian culture could only a memory. Taxonomies are based on organizing things with shared characteristics. Zambia has a rich culture with 73 tribes existing peacefully and a tremendous mixing of cultures, which includes a mixing of architectural styles. These should be preserved via documentation and understanding why these traditional architectural relations work. It is imperative to see that traditional materials have the strength, comfort and beauty of modern applications. Once we discover and expose the content and context of all the current designs, this would inform all the next designs. A change in perception has the potential of supporting a vernacular architecture. Adding context to taxonomies reveals not only what things are, but also expresses what they are for, what they do, and how they work. People must be convinced that these structures are safe, structurally sound, beautiful and less expensive in the long run. Only then will people build in the vernacular, which is close to nature and is region specific. The embracing of vernacular architecture with keeping at par with advancements in CAD can sustain-ably lead Zambia into the future. Nature fundamentally designs by taking the best existing solution to a problem and iterating. The future of architecture is approaching an age where the entire building team, which could be based in several countries and of diverse disciplines can operate seamlessly as though they are under one roof by using the same Building Information Model (BIM) and infinite cloud computing, where one change in one area of the 3D model proposed by any member of building team, will simultaneously initiate a change in all associated consultant drawings whether it be structural, bill of quantities, mechanical or interior design views. Globally technology is heading towards the sophistication levels of nature, where instead of starting a design project from scratch, we could start by accessing every design, schematic, asset, and idea that has ever been created, to help solve one particular unprecedented design challenge. This can be done if we have a (3D) digital library to refer to, as being done presently in some mega western cities, with the aim to better plan future urban developments, while integrating daily, monthly, seasonal and annual data. Real-time rendering, such as with Twinmotion, allows the client to virtually walk around their proposed structures, test out their kitchen space or virtually walk around the presidential suite of a new five star hotel, months or years before constructions are complete on site. Added to this BIM models would be able to reference local mechanical engineering textbooks, building codes, supplier catalogues and real world examples, to solve our construction problems using our context, rather than coping and pasting foreign ideas. Zambian designs need to explore all of the solutions that optimize performance for our local conditions. CAD system eLearning and installation files can be found online at times for free. Added to this investments in conferences, such as the annual Autodesk University (AU) conferences, where over 16,000 attended last year (#AU2014), representing at least 74 countries around the world. Zambian designs need to evolve. But first we have to stop “telling the computer what to do,” and instead, start “telling the computer what we want to achieve.” With Generative Design, by giving the computer a set of parameters that express your overall goals, the system will use algorithms to explore all of the best possible permutations of a solution through successive generations, until the best one for that particular typology and situation is found. Zambia, like the world, is constantly changing and yet our designs are dead designs or planned obsolescence that are not keeping up with these changes. The current solution, as with everything that is no longer useful, is to just throw out the old and bring in a new building. The fundamental difference is that the things we design now and make in the future must do three things: Sense, Respond, and Collaborate. A lot of people would call this the Internet of Things. Because the term implies a false hope of an emergent experience, what we really need is a “Community of Things” — a collection of individual entities designed to actively and purposefully work together. Incorporating climate, culture, available resources. Consequently the building team will set the stage for future generations to reach their potential sustainability. Looking ahead, our co-opting of Nature will eventually become more of a two-way cooperation, as the twin engines of technology and Nature are increasingly inter-twined, in a mutually beneficial dynamic. This is just the beginning. There are whole territories ahead where we can take Nature’s strengths and extend them with technology’s power: creating things that transcend the limits of both. Let us encourage continued learning and research in the field. On the one hand this sounds like some fairly mind-bending concepts, but on the other hand when we look closely around the globe, we can see that it has already started. The well designed built environment has the ability to promote health and well being, improve social norms and boost the economy. As a building team, it’s our job build today in our minds one click at a time, the Zambia we want to see tomorrow. What is safety to you? Regardless of your profession in the construction industry or other industries alike, Safety by definition will vary from one individual to another but what stays the same is the need to keep the workforce safe from harm’s way so as to keep production running at full capacity as well as a means to stay clear of lawsuits which can be costly to foot through legal charges and compensations. Personally, safety when simply put is Personal Protective Equipment (PPE, hereafter), or at least that is the first step. PPE is an ensemble of “adult-ware” gear worn by workmen so as to provide them with some level of protection from potential hazards which might exist within or around their work space. Since construction is an equally sensitive industry, most if not all professions within this industry and other industries alike are required to provide PPE for their entire workforce in order to keep them safe as this ultimately translates into high production. In my profession of an architect though; Work suits, Hard hats, Safety gloves and Safety boots is what amounts to PPE. Other professions especially those of the heavy duty kind will go on to demand for Safety goggles and a Respirator. Work suits come in various sizes to fit various body sizes, from small to extra, extra large. These suits now come specially tailored for the two sexes of male and female, and they also come in distinct and copyright colours; which alone means that most establishments have corporate colours to identify each other by. My employers have lime green to identify their employers by and orange to identify firms contracted to them. Work suits are striped with a deep luster on the surface about the knees of the trousers and about the arms of the coat for enhanced visibility at whatever time of the day. Hard hats on site are a must-have, and they should be made available to everyone present – especially near the work area – from the workforce to visitors. Hard hats provide protection to the head from falling objects so as to avoid head injuries. Safety gloves might rarely be used on construction sites due to not attracting as much attention as the other gear do, but they are just as important, and like any other pair of gloves, these give protection to the hands and wrist area from cuts, abrasions and other hand injuries that might be caused during handling, i.e. handling of concrete works and handling of steel works. 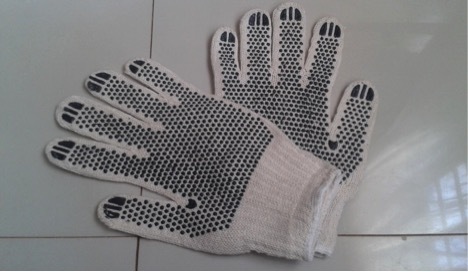 Because of what safety gloves have to handle, they are made of material with a rough texture for better gripping. Protection to the foot area is offered by Safety boots from falling objects and from stepping onto sharp objects as and when carelessly placed on site. It would however be worth noting that safety boots need to be high tops (ankle highs if you will), and with a metal brace at the front of the boot for better protection since the main area of protection are the joints. For works with small flying pieces that might be harmful to the eyes and the face generally, Safety goggles are recommended. These are only effective as when used on select types of projects. A pair fresh off the shelf will come with it rubber brackets to hang around the neck for support. With the respirator, this works better at a plant or a mine. It is often used on works with high grime generation levels to shield the workman from inhaling contaminants. Regardless of the name, the respirator does not supply oxygen; therefore it is best used in a work space with generous oxygen supply so as to avoid suffocation. Remember, safety at the work place ought to be of the utmost importance because a healthy workforce translates into a high return on the production and lawsuits are avoided. Africa was probably the place where people first built any kind of building, because people lived in Africa before they lived anywhere else. But those early huts didn’t last. The first buildings we know about are from Egypt: small stone tombs known as mastabas, built about 3000 BC. Egypt was first, because Egypt was the richest part of Africa, where trade with West Asia was easiest. By 2000 BC, people, maybe migrants from Spain and Italy, were also building stone tombs all across North Africa. By that time, the Egyptians had moved on to building pyramids. The Egyptians started building the Pyramids about 2600 BC, when the Pharaohs first became rich enough to feed the huge numbers of people who must have worked to move all that stone. Nobody knew how to build walls and columns that would hold up a heavy roof yet, so the Pyramids are solid stone: that’s the easiest way to build something big. A thousand years later, trade and wealth were spreading further south. African kings and queens in Nubia (modern Sudan) built mud-brick palaces at Kerma. They couldn’t afford to build in stone yet, but they could build in mud-brick. The buildings at Kerma have many rooms, and show their designers experimenting with circular buildings and rounded apses. By about 2000 BC, architects in Egypt learned how to build temples using columns. At first they built temples of wood, with tree trunks for columns. Later they figured out how to make imitation tree trunks out of stone. Even the stone temples temples generally had wooden roofs, so that the roof would be lighter and the columns could hold it up. These were more expensive than mud-brick, but much cheaper to build than pyramids, because you didn’t need so much stone. Egyptian pharaohs built many temples and palaces during the New Kingdom, around 1500 to 1200 BC. People in other parts of Africa were building houses and temples too, but they couldn’t afford the workers to build in stone. They built out of mud or wood, and their buildings haven’t lasted.